Varsity Soccer ended their season with a win and improved on their record from last season. Varsity Volleyball saw a huge turnout for their first ever faculty vs. student volleyball game that capped the season. 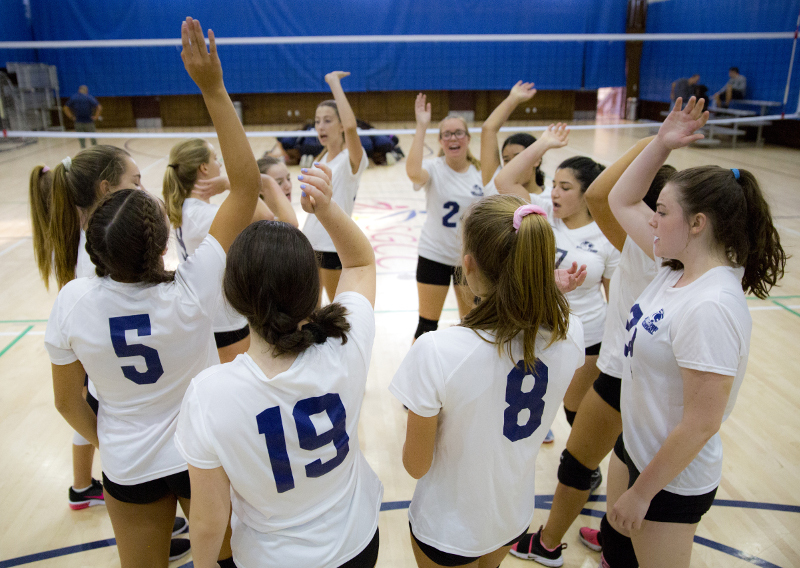 Middle School Volleyball had a very supportive group of girls encourage each other throughout a winning season. Fifth Grade Cross Country beat their personal best times while participating in the Cadman Plaza Fun Run. Middle School Track competed in the ISAL Championship race. In that event, Oscar Griggs placed second, Alan Mandalaoui placed third, Eli Itkowitz placed fourth and Andrew Betro placed fifth. Upper School Track runners Megan Alano achieved a personal best time at each meet this season and, by the last meet, was running ten minutes faster while Gregory Kuznetsov finished in the top ten of each meet during the regular season. Check out photo galleries for 2018-2019 athletic teams and take a look at the athletic calendar to see when you can show up to support our Tigers during winter sports!